Help Our Spartan Project SEARCH Interns Secure and Sustain their Careers! Only 26.3% of individuals with an intellectual disability and only 14% of individuals with autism were competitively employed in 2016 (compared to 68.6% of individuals without disabilities). Employees with intellectual and developmental disabilities (IDD) averaged working 31 hours per two-week period for $8.66 per hour. For many, high school graduation represents the ascent from adolescence to adulthood. Spartan Project SEARCH addresses the employment gap for transition-age individuals with IDD by providing internships and vocational training. Students take part in three separate internship rotations per year. The ultimate goal of the project is to help participants develop the skills they need to get a job and become more independent. Kyle West, an intern with Project SEARCH in 2017-2018, first interned for the Vista at Shaw Hall, then later at Riverwalk Market at Owen Hall. Some of his responsibilities include: working the grill, hanging posters and flyers, and updating the office calendar. In lieu of his third internship rotation, Kyle was hired on early by his managers at Vista. 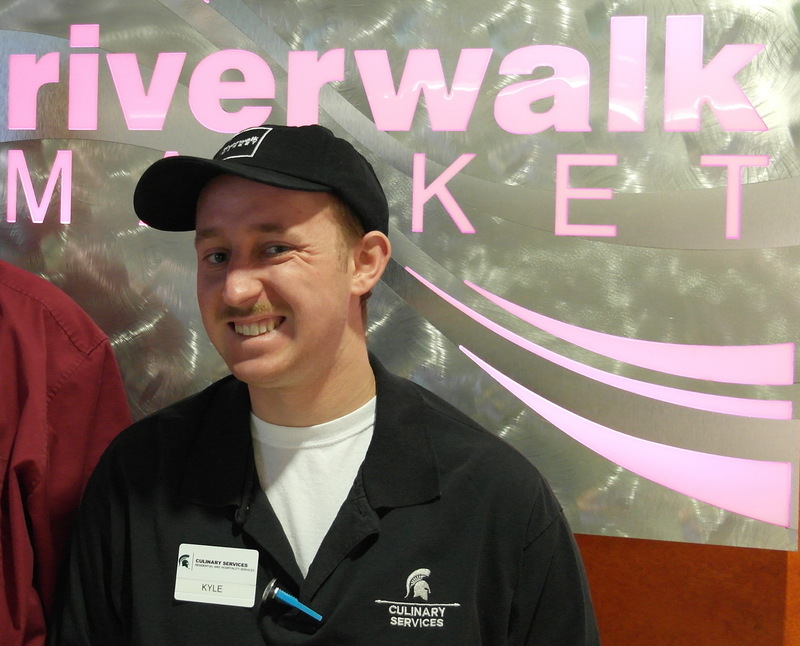 After graduating from Project SEARCH, Kyle has continued to remain on with his position at Vista and moonlights on occasion as needed at Riverwalk Market. The most valuable skill Kyle learned from Spartan Project SEARCH had been how to use the grill. 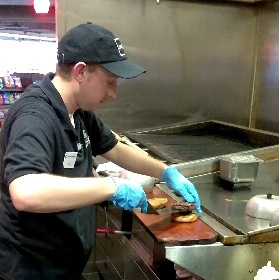 He knows it takes practice, but one career goals Kyle has for his future is to become a cook. He also is working toward getting his driver’s license to be able to drive home after work. “Kyle was the first person that we worked with in this program. Everybody loved Kyle because he is so personable and liked to talk to everybody from our dish room to the management. With Kyle, he always asked questions and was watching what other people were doing. Project SEARCH began at a hospital in Cincinnati as an effort to help individuals with IDD gain on-the-job experience. Since its start in 1996, Project SEARCH has since expanded across the country and the world. The project partners with businesses that are willing to work with individuals with IDD, helping them to learn a skill or a trade. Spartan Project SEARCH began on MSU’s campus in 2016 with nine locations and has grown to include a total of 17 this year. Spartan Project SEARCH is an interagency, multidisciplinary collaboration among MSU and other state agency and community partners which includes Ingham Intermediate School District, Michigan Rehabilitation Services, Michigan Department of Health and Human Services, Community Mental Health, Bureau of Services for Blind Persons, Peckham, Inc., and the list is growing! *Make check payable to Michigan State University and write “Appeal 19OOPCF1SPSEARC” in the note section.